This year marks the 200th anniversary of influential artist Thomas Cole’s first visit to the United States. The Thomas Cole Historic Site in Catskill and New York’s Metropolitan Museum of Art are paying tribute. According to the historic site’s website, Thomas Cole was an English-born painter who founded the Hudson River School — a group of artists whose paintings paid homage to American wilderness even as it was being dramatically altered by industrialization. Cole emigrated with his family to the United States in 1818, settling in the Midwest. At 22, Cole moved to Philadelphia eventually settling in Catskill , where he lived with his wife and children until his death in 1847. Jacks notes Cole brought new ways of looking at landscape paintings from England and applied them to his work in the Catskills. "We are going to open up a new exhibition on May 1st, and it will be curated by a team of five people from Yale and the Met. And it is a companion exhibition to the one that is opening at the Met at the end of this month." Jacks says the new exhibit of the artist’s work entitled “Thomas Cole’s Journey: Atlantic Crossing” is set to open January 30th at the Metropolitan Museum of Art in New York City. In late April, a three-night "song and storytelling" concert series will take place at the Met, featuring former Police frontman Sting. His collaborative art book "The Last Ship from the River of the Northern City" with Stephen Hannock will be on view during the exhibition. "It's going to be lyrics that's his and woodcuts of mine that show different parts of this Newcastle community, both from the 19th century and contemporary." Hannock says Sting and Cole have a geographic tie: Sting was born in Newcastle and Cole's birthplace was about 90 minutes southwest in Bolton le Moors, Lancashire. "Americans are quite familiar with Thomas Cole's work. 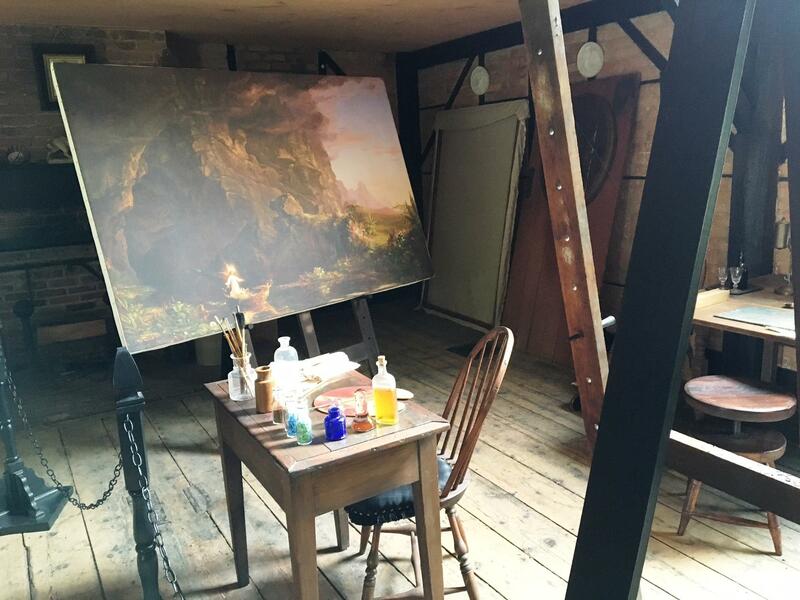 Thomas Cole was an Englishman, and one of the ironies is not one major museum in England owns a Thomas Cole painting," added Hannock. Cole's paintings will eventually be displayed at London's National Portrait Gallery and the gallery will display Cole’s wooden paintbox for the exhibit. The second season of winter tours of Cole’s historic home takes place the same days as the Salons lectures. BONUS: an extended audio conversation with Stephen Hannock. 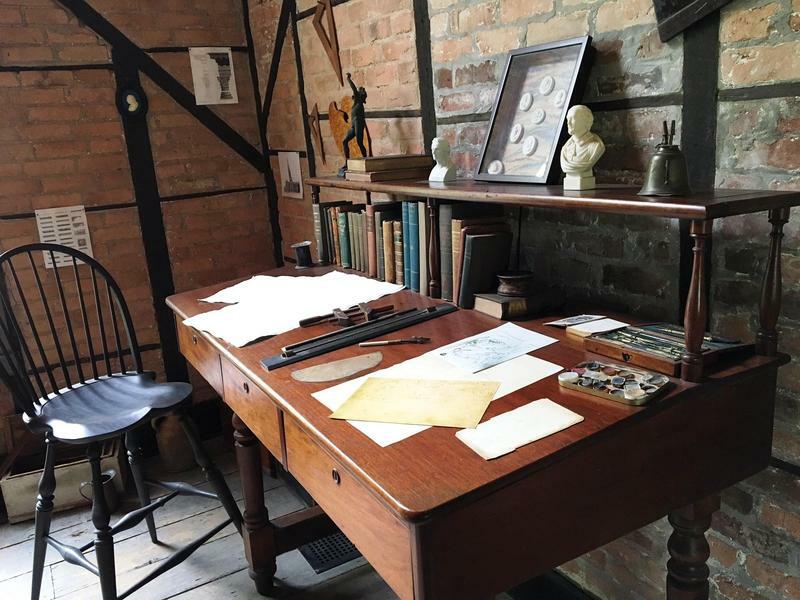 The Thomas Cole National Historic Site in Catskill is seeking entries for its essay contest. Catskill, New York is hoping to become a bigger player in the so-called "creative economy."